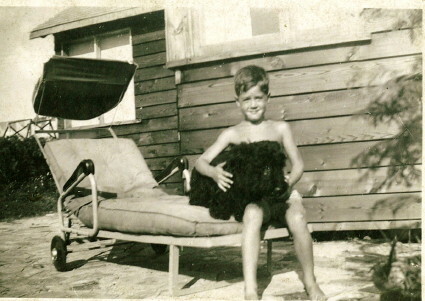 I was born on February 17, 1944 in Toronto, Ontario, Canada, where I was raised and educated, graduating in 1970 with a DVM degree (Doctor of Veterinary Medicine) from the Ontario Veterinary College, University of Guelph in nearby Guelph, Ontario. After graduating I went to London, England on a travel fellowship, to work as a veterinarian at the Zoological Society of London’s Regent’s Park Zoo. A year later I joined a veterinary practice in Knightsbridge where I remained for two years. In 1973 I set up my own practice, the London Veterinary Clinic, and married my wife, the actress Julia Foster. We have three children. Emily, an Art Director with two sons, Josh and Taran, lives in Dubai and France. Ben (benfogle.com), married to Marina and with a son Ludo and daughter Iona, is a writer, journalist and broadcaster living in London. Tamara, with a son Jack, is an accessories and fashion designer (tamarafogle.com) and also lives in London. In the 1990s Julia gravitated into the antiques trade and became one of Britain’s leading authorities on Swedish painted furniture from 1700s and 1800s. Most recently she has acted in a film adaptation of the hit TV series, Dads Army. The film will be released in 2016. 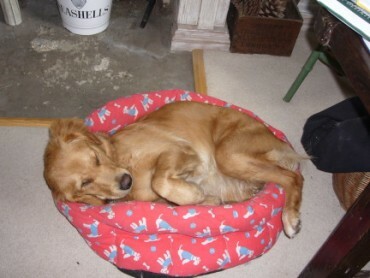 We share our home with Bean, a golden retriever whose full name is LLBean but who answers to Lucca, and Bean’s daughter Plum. Ben’s dogs, Maggi and Storm and Tamara’s Marnie also consider our place theirs and visit almost daily. Professionally, I’m a member of the Royal College of Veterinary Surgeons, the British Veterinary Association and the British Small Animal Veterinary Association. I hold honorary memberships of veterinary associations in Japan, Norway, and Catalunya, Spain. I’ve written original scientific articles published in refereed journals in UK, USA and Canada and commissioned review papers published in scientific journals in Australia, Italy, Japan, Mexico, Norway, Spain and Sweden. For statistic gatherers I’ve been fortunate enough to be an invited speaker at symposia and veterinary faculties in 24 countries. Outside of my profession I’m the Co-founder and Vice-Chair of the charity Hearing Dogs for Deaf People. I’m the Chair of Humane Society International an international charity that protects and celebrates animals worldwide. I’ve been a professional consultant to several international pet food and pet insurance companies and in 1999 was the co-founder and content provider for a pet care website selected by Forbes Magazine as the “World’s Best Pet Care Website”. I have been Veterinary Consultant to Microsoft Encarta and Veterinary Advisor to the Encyclopedia Britannica. Some of you have asked for pictures of my dog ‘Bean’ so here are some. At home she has to share. 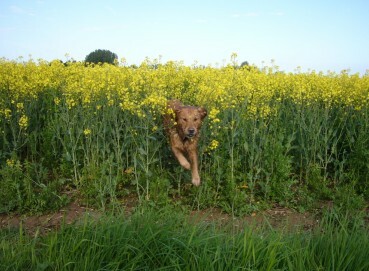 To her right is Inca, my son Ben's dog. To Inca's right is Lola, her daughter, my daughter Tamara's dog and on top of Lola is Lola's daughter Marnie, also Tamara's. At home she has to share. To her right is Inca, my son Ben\’s dog. 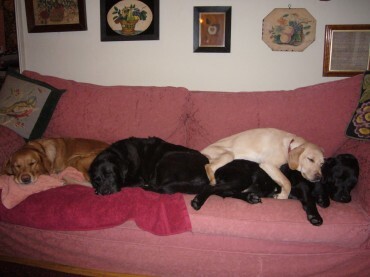 To Inca\’s right is Lola, her daughter, my daughter Tamara\’s dog and on top of Lola is Lola\’s daughter Marnie, also Tamara\’s. 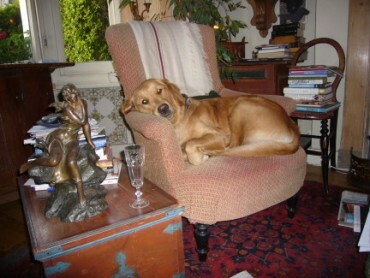 I never used to let dogs on furniture! 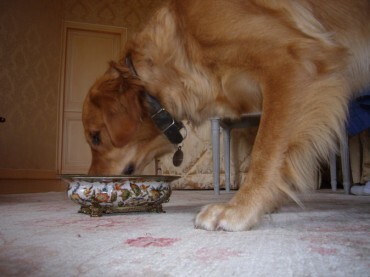 In France recently, when I'd forgotten Bean's food bowls, the chateau provided this for her dinner. In France recently, when I\’d forgotten Bean\’s food bowls, the chateau provided this for her dinner.